Everyone knows that Valentine’s Day is typically dedicated to your SO, but I like to think of February 14th as so much more than a couple’s holiday. 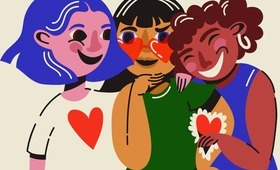 It’s a day to celebrate everyone that you love—especially the people who finish your sentences, always share the last slice of pizza, and understand you like nobody else. Yes, I’m talking about your best friends. 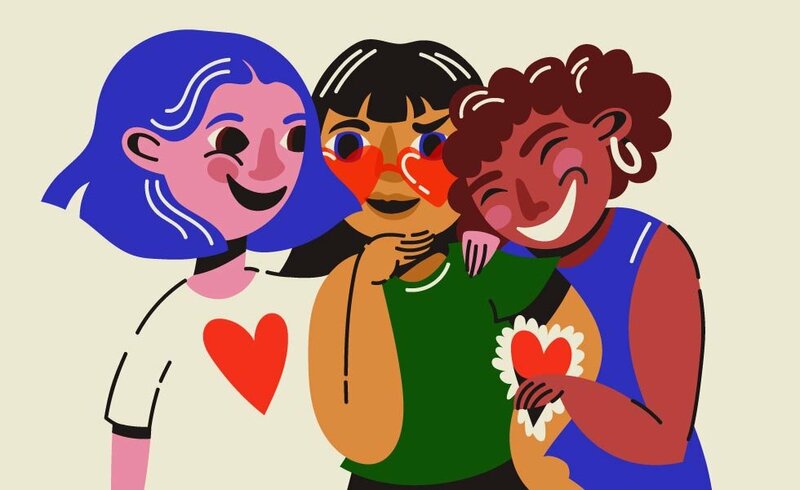 This year, gift each of your closest galentines with a thoughtful zodiac-inspired present that shows her how much you care. 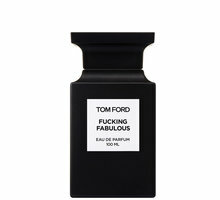 The best Valentine’s Day gift for a Capricorn? Lipstick that’s just as hardworking and reliable as your ambitious bestie. 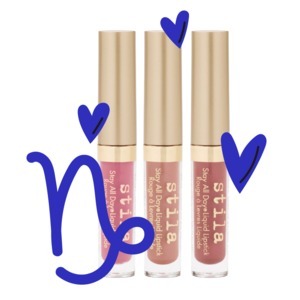 Stila’s rose-hued liquid lipstick set delivers three universally flattering shades for full coverage color that won’t fade or feather all day. 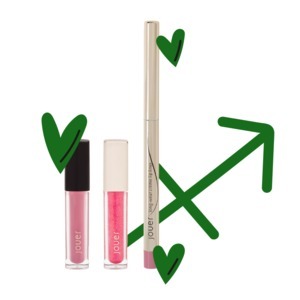 Infused with avocado oil and vitamin E, Capricorns can rest assured that this long-wearing lipstick will provide lasting hydration as they achieve their goals. 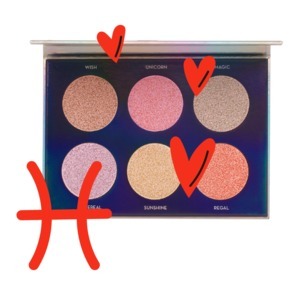 Forward-thinking Aquarians love technological advancement and innovation, so gift this inventive air sign a palette that mimics the skin-perfecting effects of a photo filter. Birthed from BECCA’s collaboration with best friends Khloé Kardashian and Malika Haqq, the brand new Bronze, Blush & Glow Palette uses soft-focus pearls and blurring pigments to create luminous skin in an instant. Pisces love to let their creative imagination run free. 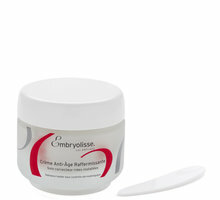 Give the dreamer of the zodiac a gift that physically manifests her artistic thoughts in the form of ethereal beauty. 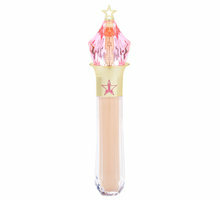 Complete with enchanting names like Wish and Magic, Anastasia Beverly Hills Dream Glow Kit lets Pisceans create a whimsical glow that highlights their uniqueness. Give the confident and courageous fire sign in your life a collection of vibrant lip shades that match her bold personality. 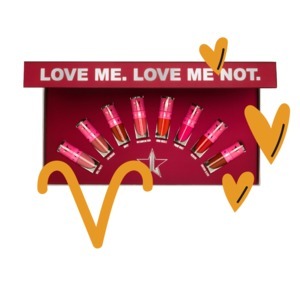 The Mini Velour Liquid Lipstick set offers eight of Jeffree’s best-selling red and pink shades for pint-sized color that packs a serious punch, further empowering your Aries galentine. 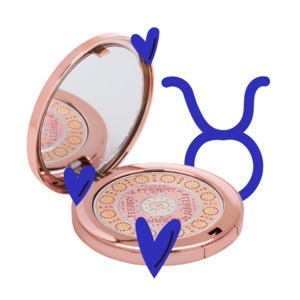 Generous and dependable Taureans love elegance, so a bedazzled highlighter compact makes the perfect gift for this luxury-loving earth sign. 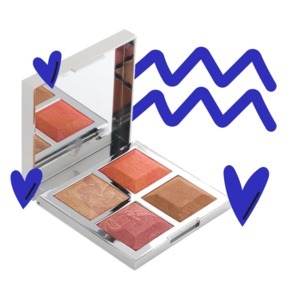 With a kaleidoscope of pink and apricot pigments inside a gem-encrusted exterior, the Gem Glow Trio Compact is beautiful from the inside out—just like Taurus. Extroverted, witty and social, Gemini is represented by the Twins, which symbolize duality and communication. It’s only fitting that you give this clever air sign a gift that references her element’s iconic symbol. 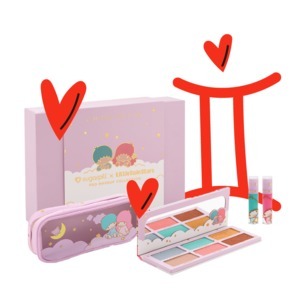 Sugar Pill Cosmetics Little Twin Stars Collection delivers twin-inspired eye shadow, liquid lipstick and a makeup case all within a collectible keepsake box. If you’re lucky enough to have a Cancer in your life, you’re familiar with the water sign’s kind and trustworthy personality. 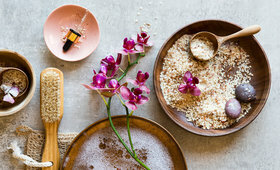 Cancers give off a calming vibe that makes all who interact with the crab comfortable enough to share even their deepest secrets. 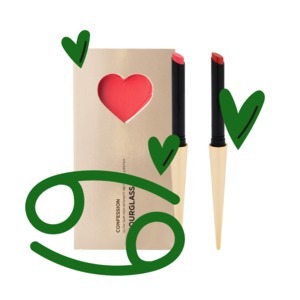 Complete with gilded lipstick applicators and a heart-shaped box, Hourglass Confession Valentine’s Day Set shows how much you appreciate Cancer’s soul of gold. Leos not only crave attention, they thrive off it. Give the aspiring starlet in your life a gift that’ll have her sparkling harder than a Met Gala gown. 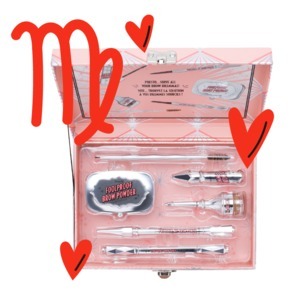 The Stardust Makeup Pouch Set comes complete with two multi-purpose glitter powders, star-infused lip gloss, and a bright red chain pouch created by legendary designer (and fellow Leo) Anna Sui. Natural born problem solvers, the highly intelligent and organized Virgo always has the perfect solutions. 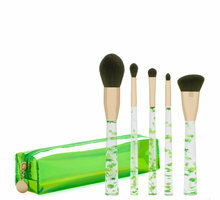 This earth sign bravely faces every task head first, so give her a set of Benefit Cosmetics most outstanding brow tools. 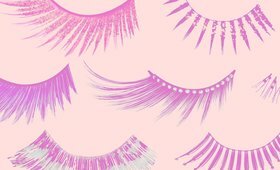 The Magical Brow Stars Set features Benefit’s best-selling brow enhancers, so Virgos can create flawless arches every time. 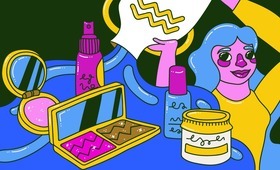 Libras always keep life fun, so why should their makeup be any different? Make sure your Libran galentine gets a gift that’s just as lively and captivating as she is. 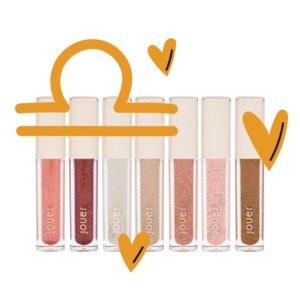 Jouer Cosmetics Lip Toppers Mini Gift Set delivers soft, shimmery shades and striking metallic finishes for lip toppers that resemble Libras’ perfect balance of sweet and spontaneous. Determined and passionate, Scorpios fiercely follow their dreams. 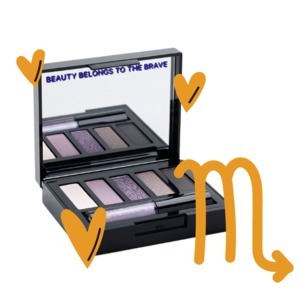 Gift this fearless water sign a bold eyeshadow palette with shades that magnify both her sultriness and driven personality. These rich, blendable shadows feature sensuous shades in matte, satin and foil finishes within a compact that reminds Scorpios of their bravery. Your independent and optimistic Sagittarius friend is always on a quest to get the most out of life. Her curiosity and love of travel motivate her to venture all over the world, so gift this globetrotting fire sign a hydrating lip kit that fits easily into her carry-on. The Jet-Set Lip Kit comes with a long-wear lip crème, topper and liner for lips that are ready for her next big adventure.